Well, the first official sales figures are in from Japan – and it's first blood for Canon. 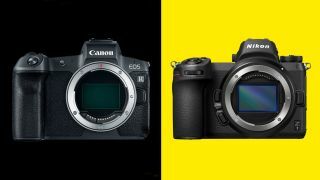 According to sales data from BCN Retail, the Canon EOS R has sold around twice as many units as the Nikon Z7 – and is even outselling each of Sony's models. Now that the big boys have arrived, Sony's share has dropped to 67%. The Nikon Z7 grabbed 10.4%, while the Canon EOS R stole a whopping 22.1% of Sony's lunch money – impressive, considering that it only came out in October, while Nikon's camera was released in September. More alarming for the previous ruler of the playground is that the EOS R is outselling the Sony A7III and the Sony A7RIII, which are widely considered the "best" full-frame mirrorless bodies (while the EOS R famously has many limitations).